Any business currently using devices with Windows CE or Windows Embedded Handheld should start to plan for the future. Starting this year, Microsoft will phase out support for Windows Embedded Operating Systems, which is what most rugged devices in facilities and field operations are currently running. The phase-out will be completed by 2021, which means that if your company has not started planning for the migration to Android, you need to get started immediately. This is especially true for companies that have a lot of handheld devices, or numerous internal applications running on Windows. This paper will outline the steps you need to take to ensure your migration to Android OS provides the maximum benefit to your company with the least amount of disruption. 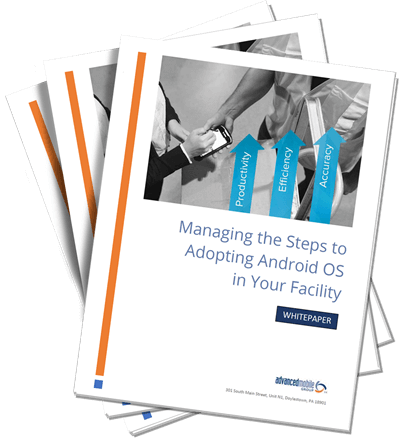 Introduce yourself by completing the form and get instant access to the whitepaper: "Managing the Steps to Adopting Android OS in Your Facility"